From early exploration to life-long nature lover, Dahlem offers education programs for children of all ages. 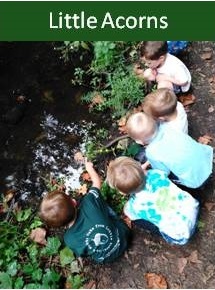 Our Little Acorns Nature Preschool has two 3 and one 4-year old class that emphasizes learning and play while surrounded by nature. 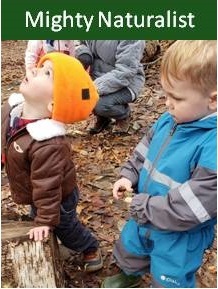 The Mighty Naturalist program is perfect for ages 0-5 to get out and get hands on learning, from following squirrels to unearthing life under a log. 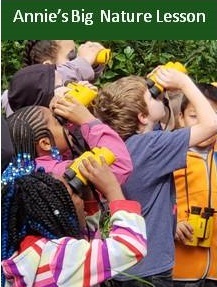 Annie’s Big Nature Lesson is a week-long experience for 4th grade classrooms to take their learning experiences to the outdoors. 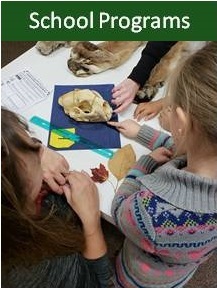 We also offer various seasonal day programs for all elementary school grades. Click on the links below to learn more about each program.